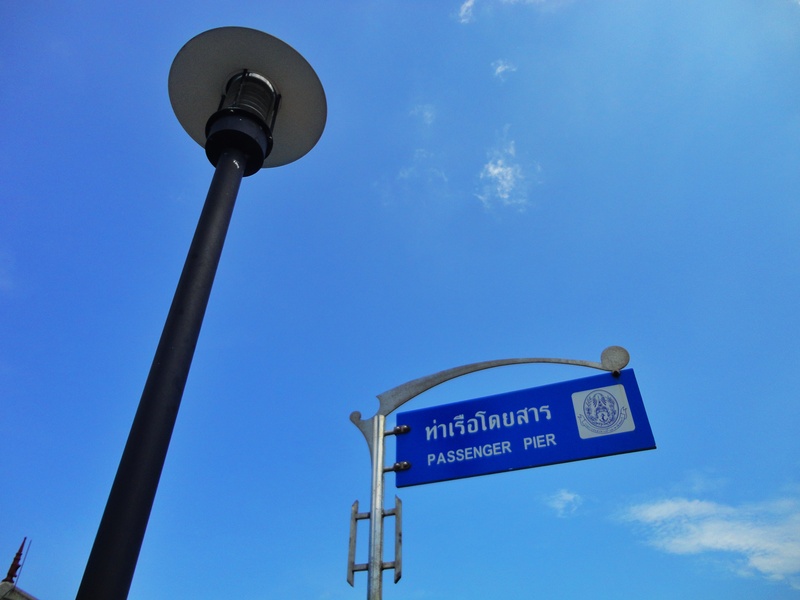 I want to post some images that I have taken from Phi-phi Island, Thailand. The letters just caught my eyes so I took it with my pocket camera. Some of them was only a sign with local letters and folowed by the alphabets, and some others was more than just letters. It could be meant as an engagement. Look at the peoples with the board on hands. 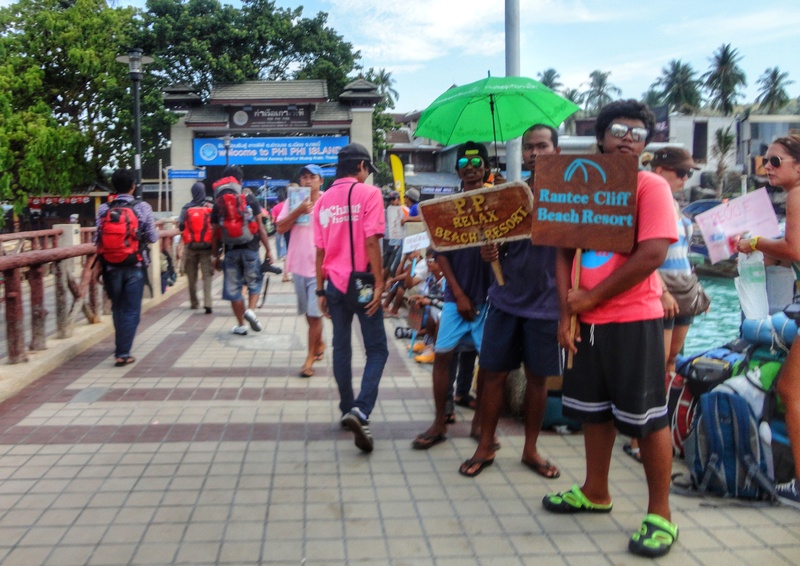 They stands everyday at the pier for welcoming the tourists and offering their services. Yeah, life’s struggle. Unfortunately I had only a few hours to stay at that beautiful island, so I didn’t even rent any boats to explore many islands around Phi-phi Islands. So I walked around and looked for some food for lunch. While I was looking for some restaurant, I found an odd signs. 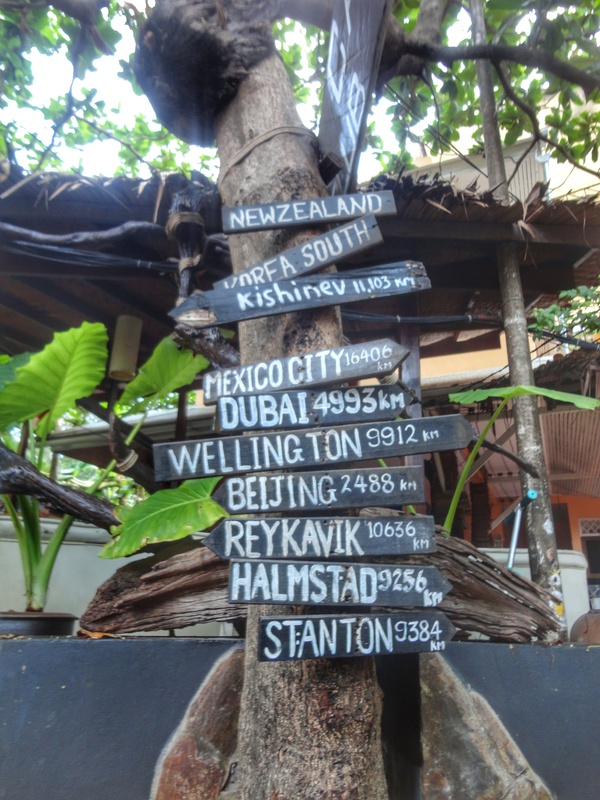 It show the distance of many big cities in the world from Phi-phi Island. Is it true or just for fun? This post is linked to Weekly Photo Challenge, for this week theme; Letters. Thank you, hv a wonderful weekend..